Overview: Ground baiting has been used for many years in freshwater angling and has recently become more commonly used in sea fishing. The problem many people face when ground baiting at sea is the strong tidal currents which can cause your ground bait to end up 100 yards away, however, this page helps you to get the most from your groundbaiting. Ground bait is also known as burley and rubby dubby (usually on boats). Fish: There are a wide range of fish that will be attracted by groundbaiting. Most commonly you will think of using bread and fish ground baits when trying to catch Mullet but it is often the case that you will be attracting plenty of other species at the same time. Most fish will follow the scent trail of ground bait as it indicates to the fish that there may be a free meal on offer. You could argue that almost every fish species will be attracted but the most common are, Mullet, Bream, Garfish, doggies and Rays. But I have tried using various types of groundbait in all sorts of conditions and it has provided some good results. I tried it with a swim feeder filled with smelly lug and mackerel on a winters day when the fishing was slow and the water was really murky and ended up pulling out a few dabs and whiting. It may have been state of the tide, coincidence etc. but a catch is a catch. The Bread Bag: This is one of the most commonly used methods of groundbaiting for Mullet but it will also attract Garfish, Pollack and even Bass. A tip is to set this up at the very start, which will allow it to get to work straight away as t can often take an hour or so for it to attract the fish. You get a mesh bag and put plenty of mushed up bread in it, you can also add fish bits and mackerel flesh. You then lower it down with rope so that it sits just under the waters surface. The depth you chose depends upon where you are fishing. Some people may like it out of sight whilst others refer it a few feet under the surface so that they can see if it is working. This method can be very exciting especially when you see a big mullet just munching on the bits leaking out of the bag. Just before you lower it right into the water, i would give it a soak and pull it out, leave it for a minute and then lower it in and shake it on the surface of the water (just dipping it in and out) as this will get the bread scent moving quickly. The lower it in and leave it. The Swim Feeder: This is traditionaly taken from the freshwater scene and involves filling a small or large feeder (Pic below) with ground bait of your choice (worms, bread, fish bits) and then casting it out as part of your rig. They come in a variety of shapes, sizes and designes. 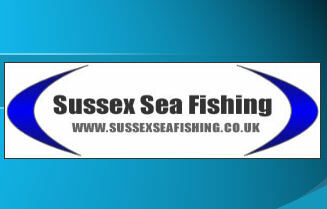 There are now a few heavy duty ones on the market designed specifically for the demands on sea angling. This has been effective tool on the match scene but the only problem is that it limits your casting distance due to its shape the added weight but is always handy to have when the fishing is a bit slow. The feeder detailed in the image below is one of the newest ones on the market and comes in a few sizes. The idea of this one is that you clip it onto the bottom of your rig. How to use: The benefit of this design allows you to use this particular feeder with almost any rig that you have already made. All you need to do is to clip the swivel at the top of the feeder onto the genie clip or link that you have at the bottom of your rig, which is normally connected to your weight. You then clip the weight onto the genie clip that is at the bottom of the feeder and away you go. Its basically an extension at the bottom of your rig. You then fill the feeder with you ground bait of choice and then plug each end using the PVA stoppers that it comes with. These PVA pieces stop the bait from coming out of the feeder when casting but once they hit the water they begin to dissolve letting all the ground bait and juices out to attract the fish. If I fish using these i tend to have 2 on the go, I am preparing the next one whilst the other one is in the water as this reduced the amount of time wasted baiting up. Throw it in: This is exactly what it says. Make a ground bait up and then throw offerings in everey ten minutes. This should keep the scent in the water and the fish interested. This is another way of keeping the mullet interested once they have turned up but be careful not to overfead them. A quick trick that i have developed to ensure your bait gets to the bottom quicker (if thats what you want as some people prefer it to sink slowly from the surface) is to put it in a PVA bag or PVA mesh (usually used for carp fishing) and add a stone in the middle of it. When you chuck it in the water the weight of the stone will carry the bait to the bottom before the PVA bag fully disolves. Digging Holes & Bag on a post: These two methods are not something that I have personally done but i have seen it used to great success in magazines, forums and by other anglers. This is mainly for use on sandy or muddy beaches where the tide comes in a signifiant way. They can also only really be used when the sea is pretty calm otherwise the ground bait will be easily washed away. Dig a hole and burry some ground bait afew inches under the sand/mud. scatter a few holes around the area and do the same. This will give you an even spread of ground baits around the area you should be casting to throughout the session. You can even make holes all the way up to where your set up in the hope that fish should follow the baits in as the tide comes in. Bag on a post works in a similar way, you go to the point where your cast has landed and dig a hole, place a wooden post/stick in the ground and then tie your mesh groundbait bag tightly to the post. This will ensure that the area your fishing remains groundbaited throughout your fishing session and should attract plenty of fish.